AnonD-418, 02 Feb 2011As for Globe, just use the auto download setting on the phone and it will download to correct ... moredo you know the settings for opera mini? i have had already downloaded the setting from the Globe and did what you said. but the internet is not free. Is the upgrade official from se or not? And how to upgrade it? oz, 06 Feb 2011i really like the specs of this phone....but one thing i'm really worried about is the battery... moreBattery life is good. Turn of 3G and when not needed, and reduce screen backlight. With non-stop using it's about 5h (music, browsing, games, YouTube) with no pause. With normal use it will not let you down. rex, 06 Feb 2011how can i change to umts network? is there any option 2 change it in 3g network?..go to settings-wireless networks-mobile network settings-network mode..
it has option WCDMA-GSM,nas both..
choose which one u need..
how can i change to umts network? is there any option 2 change it in 3g network? sagilian, 05 Feb 2011hi i have just got this phone and i cant get online was wondering if anyone can tell me what t... moreMe too. I can't use the internet. is there a solution for this? Thank you. hi i have just got this phone and i cant get online was wondering if anyone can tell me what to do,and i cant get into the market. this phone supports ebuddy ???? i have installed ebuddy on my x8 ,after a while this message appeared " Application not installed "
AnonD-418, 05 Feb 2011If you're interested about rooting your phone head to the XDA forum (Use Google) and read and ... morehave you tried it roar?? to solve the alarm problem you have to go to settings > sounds & display > media volume. and set it to the max. N Masurkar, 04 Feb 2011HSPDA and WCDMA are diffeent or not for 3g service?and which is better and please give differn... moreCheck your model. 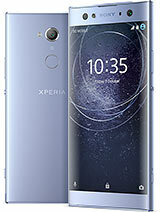 The Xperia X8 (E15i) supports UMTS/HSPA bands 1/8 - that means theoretically it can reach downloading speed (HSDPA) up to 7.2 Mbps and 2 Mbps uploading (HSDPA). It also supports UMTS W-CDMA based band up to 348 kbps. HSDPA is faster than 3G W-CDMA, of course. why alarm sound is very less and how to improve it. sometimes ringtones get changed automatic?